The Fabia hatchback‘s poor sales prompted Czech car maker Skoda to discontinue this car from the Indian market. Internationally though, the Fabia continues to enjoy good success, which is why Skoda is developing a next-gen replacement for the hatchback. 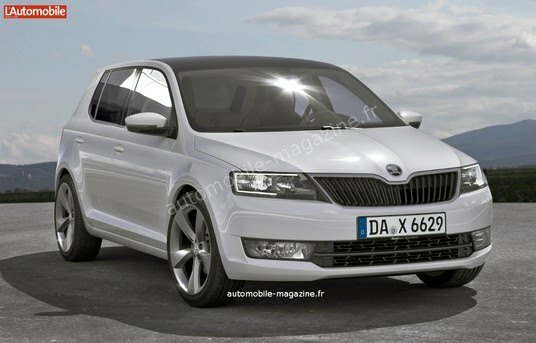 The 2015 Fabia will make its European debut by the end of next year. From the initial indications, it appears that Skoda will not alter the size of the Fabia hatchback, but will outfit new features to the hatchback. 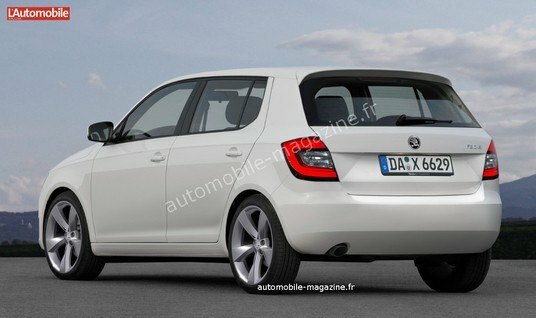 Also, the 2015 Fabia will see major design changes to make the car look more appealing than before. In a further step towards variant rationalization, Skoda will give the RS version of the Fabia a miss as the high performance variant isn’t doing the kind of numbers that the brand expects. The Volkswagen group, as a whole is moving towards a turbo charged engine line up across both petrol and diesel engines. Expect the Skoda Fabia to also follow this approach and offer car buyers an all turbo petrol and diesel engine line up. The 1.2 TSI turbo petrol engine is likely to be entry-level petrol in the 2015 Fabia line up while the 1.2 liter and 1.5 liter TDI turbo diesels could round off the diesel Fabia range. Both manual and automatic gearboxes will be on offer. The DSG automatic gearbox is also likely to be given a miss in favour of an 8/9 speed torque converter as the Volkswagen group plans to outfit all its future sub-Golf cars with a new family of torque converters. Although an Indian launch hasn’t been confirmed by Skoda, the car could eventually make its way here if and when Skoda needs a lower priced car to sit under the Rapid C segment sedan. The other sub-Rapid car that Skoda sells in Europe is the CitiGO hatchback, which is based on the Volkswagen Up!.